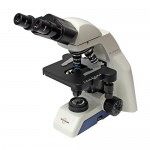 Outstanding optics at competitive prices from one of the oldest and most well-established microscope companies in the United States. 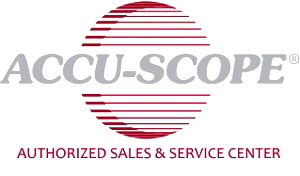 Visit the Accu-Scope website to learn more and to download catalog sheets, specifications, pictures and manuals. 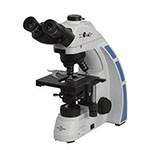 The EXC-500 Series for clinical laboratory and research applications. Highly modular, and can be outfitted with Plan Apo objectives, fluorescence, phase contrast and darkfield. 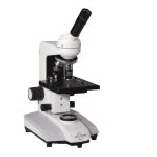 The 3025 Series is a clinical laboratory microscope for microbiology, cytology and pathology. The EXC-350 Series, with a newly designed LED illumination system for brighter and sharper images.. Modular design can be outfitted for fluorescence, phase contrast and darkfield. The 3012 Series is an excellent choice for veterinary laboratories and upper-level university laboratories. The 3000-LED Series provides superb optical performance with high contrast images and outstandng resolution. 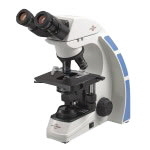 This microscope has a super-bright 3 Watt LED illuminator, making it an excellent instrument for life science professionals, veterinarians and clinical laboratorians. The EXC-120 Series is an affordable choice for medical, veterinary and teaching applications. The 3002 Series is an excellent choice at an attractive price point for medical, veterinary and teaching labs. The EXI-310 is compact for more efficient use in cell culture situations, fitting easily into a culture hood. Options include plan, plan phase and plan phase fluor objectives, as well as LED, metal halide and mercury illumination for fluorescence. 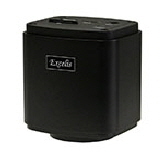 The EXI-300 is built to last, with a rugged design and a hard-coated stage which is scratch and stain resistant. 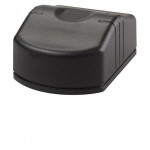 A 5 Watt LED illuminator, phase contrast optics, Koehler illumination and two photo ports are all standard features. 3075 Series 6.7x-45x Zoom. Excellent depth of field and resolution. Trinocular versions are available, as well as several stands. 3078-HDR Series 8.0x-35x Zoom. 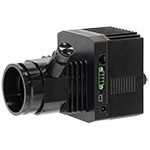 Integrated 5 MP CMOS HD camera, built-in LED transmitted and reflected light illuminators. 3078 Series 8.0x-35x Zoom. Trinocular versions available, and multiple options for stands, including incident/transmitted LED, pole, boom, ball bearing boom and flex arm stands. 3072 Fixed Magnification. 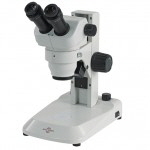 Available in 1x/2x, 1x/3x and 2x/4x combinations for 10x/20x, 10x/30x and 20x/40x magnification with 10x eyepieces. 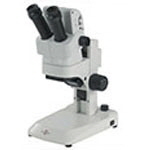 15x and 20x eyepieces also available, as well as various magnification auxiliary objectives. EXS-210 Fixed Magnification. 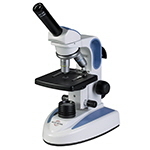 Entry level student stereomicroscope with rotatable turret providing either 2-step or 3-step magnification ranges. Available in 1x/2x, 1x/3x, 2x/4x, 1x/2x/3x and 1x/2x/4x versions. 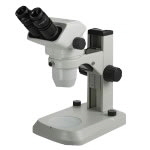 3050 Fixed Dual Magnification. 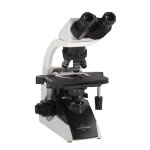 Outstanding value in an entry level student microscope. Rotatable turret for changing magnification. Available in 1x/2x, 1x/3x, 1x/4x and 2x/4x. 10x eyepieces are standard. 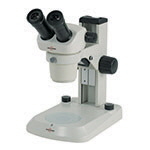 Optional 15x and 20x eyepieces are available. 3080 Monocular Series. Rugged construction, designed for many years of student use. 360° rotatable monocular head. Locked-in 10x WF eyepiece with pointer. Achromat 4x, 10x and 40x (retractable) objectives. Cast alloy aluminum stand with built-in cord hanger; 7 Watt fluorescent illuminator. EXM-150 Monocular Series. Excellent choice for high schools, middle schools and home schooling. locked-in eyepiece and 4x, 10x and 40x (retractable) objectives. 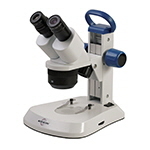 Model EXM-151 adds a 100x (retractable) oil immersion objective to the configuration. LED Illumination with rechargeable batteries, so microscope can be operated either corded or non-corded (3-4 hours operation on a single charge.) Optional mechanical stage with slide holder; optional dual inclined or inclined/vertical teaching head. Integrated carrying handle. ScopeLED B-Series. An LED-based replacement for your microscope’s conventional halogen bulb illuminator. Uses Di-Con’s dense matrix high performance LED array. 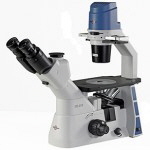 Can be installed on most microscopes, including Accu-Scope®, Nikon®, Olympus®, Zeiss®, Leica®, Unitron®, Motic® and many others. ScopeLED F-Series. LED-based fluorescence illuminator. Replaces conventional arc lamp sources with a high performance dense LED array system. Can be installed on most microscopes, including Accu-Scope®, Nikon®, Olympus®, Zeiss®, Leica®, Unitron®, Motic® and many others. FRAEN® Effortlessly convert any microscope into a high intensity LED-based fluorescence microscope! 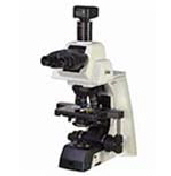 This unit contains its own universal epi-fluorescence module, so there is no need to have a brand-specific illuminator module for your microscope. Single wavelength and triple wavelength versions are available. 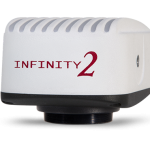 Lumenera® INFINITY CCD and CMOS cameras, from 1.3 to 32 Megapixel resolution, USB 2.0, USB 3.0 and HD cameras for every imaging application. Also available are Lumenera’s extended warranties, free loaner camera programs and advanced features software. Micrometrics® CMOS cameras for brightfield microscopy and defect analysis applications. Included software for image capture, measurement and annotation. HD Cameras True 1080p, 16:9 high definition imaging with frame rates up to 60fps. Included are models which can be operated either as stand-alone units with mouse control for image capture or computer control via USB 2.0. HDMI output can be sent to an HD monitor or projector for outstanding images for teaching or multiple viewer situations.